The recent case of arrest of six medicos and three junior doctors of MKCG Medical College & Hospital saw some respite for the 9 doctors as they released on conditional bail by the local police. The move has been apparently taken after much noise by the Junior Doctors’ Associations’ of the three government medical colleges in the state. They had earlier threatened to go on strike yesterday if the doctors are not released immediately. 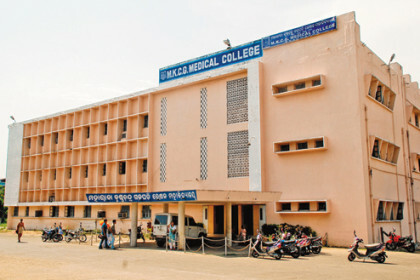 The Junior Doctors’ Association of SCB Medical College & Hospital is also reportedly under discussion with the Health Minister and departmental authorities in this connection. As reported by Odishasuntimes, the SDJM court here allowed the medicos to go on bail against a bailer and a surety of Rs 10,000 each. On the three conditions, a group of 1600 students have threatened a work agitation if their demands are not met by 5 pm today. According to the sources Odisha medical association and Indian Medical Association have extended their support to the agitation. Even VIMSAR students have extended support. Earlier we had written to Health Minister Atanu Sabyasachi Nayak, Health Secretary Aarti Ahuja and Chief Minister Naveen Patnaik seeking their intervention and resolution of the issue. But, we haven’t received any communication from them as a result of which we have decided to go on a stir, a student of SCB Medical College and Hospital said.